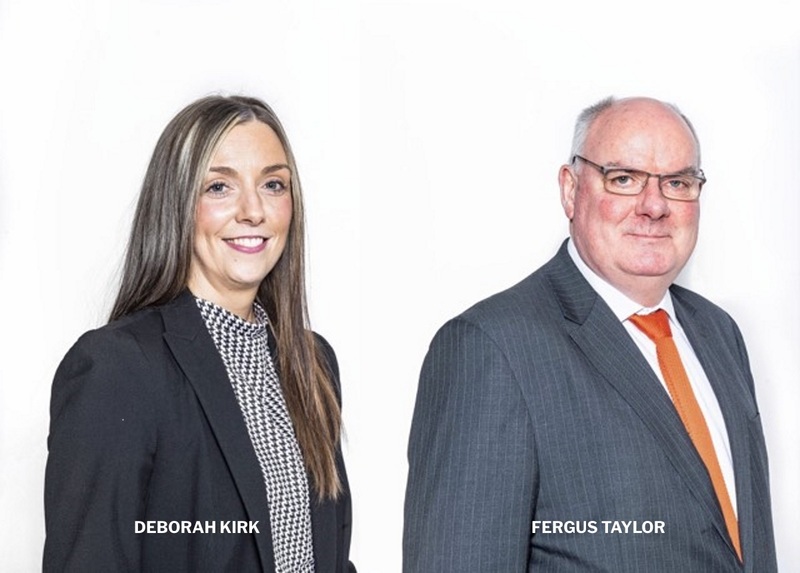 HKA, the world’s leading provider of multi-disciplinary expert engineering services in the buildings sector, expands its team with two senior appointments. Fergus Taylor joins as Technical Director with responsibility for developing the project and contract management dispute and expert witness service and supporting the wider multi-disciplinary engineering business. With over 40 years of experience in the construction industry, Fergus previously specialised in the successful delivery of major and complex projects for national and local government departments, and blue-chip clients. His sector experience includes custodial, education, hospitality and leisure, life sciences, retail, and transportation. Previous to HKA, Fergus was at Currie & Brown, where he was a member of the senior management team for Scotland and Northern Ireland. He is a Member of the Association of Project Management (MAPM). Deborah Kirk joins HKA as an Associate Technical Director. She is an experienced chartered architect with experience in both private architectural practice and main contracting. She has extensive experience in design management and in particular of managing the development of specialist contractor elements such as the external envelope. Her sector experience includes commercial, custodial, education, healthcare, hotels, residential, sports and leisure, and student accommodation. Prior to HKA, Deborah worked for Robertson Construction. She will be responsible for providing expert architectural services across a wide range of building projects. Deborah holds an LLM in Construction Law, an MSc in Computer Aided Building Design, and a BSc in Architectural Studies, all from the University of Strathclyde. Gerry Brannigan, Partner, said: “Our multi-disciplinary approach positions HKA a market leader in the buildings sector, having been appointed on some of the most challenging dispute projects worldwide. Buildings is a key growth sector for the firm, complimented further with the expertise of our quantum, delay, disruption, and damages experts. The firm’s technical experts comprise of architects, building services engineers, fire engineers and project managers that have access to a range of external experts specialising in acoustics, IT, materials, sports and leisure, water treatment amongst every other specialism involved in buildings projects. HKA’s experts act in support of litigation and international or local arbitration cases on every continent. Experienced as party- or tribunal-appointed expert witnesses, they are able to advise and if needed give evidence under cross-examination, including concurrent ‘hot-tubbing’. The firm has a long and enviable track record of working for the world’s largest international law firms, on many of its most complex megaprojects. Having direct access to a single source of quantum, engineering, delay, disruption and damages (QED+) experts improves the entire dispute resolution process. For HKA media enquiries please contact Josephine Guckian, Global Communications Director, HKA, josephineguckian@hka.com. HKA is one of the world’s leading providers of consulting, expert and advisory services for the construction and engineering industry. We anticipate, investigate and resolve project challenges. HKA understands the pressures associated with delivering successful projects, whatever their size and complexity, wherever in the world. For over four decades, we have stood alongside our clients as trusted independent advisers, finding solutions amid uncertainty, dispute and overrun. From construction and manufacturing to processes and technology, our people provide the advisory, consulting and expert insight that make the best possible outcomes a reality for public and private sector clients worldwide. HKA has over 900 professionals in 39 offices in 19 countries worldwide.